This beautiful wallhanging has been designed by Lee Brown and features the fusible applique technique. 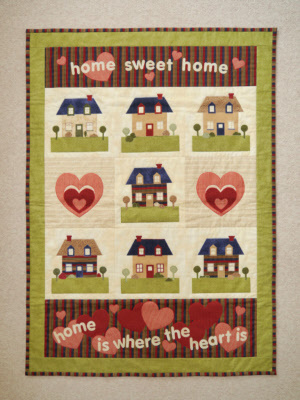 This lovely wallhanging features houses and hearts and measures approximately 34 x 47 inches. KIT AVAILABLE.